Sleep with confidence with the La Salle Metal Alarm Clock at your bedside. 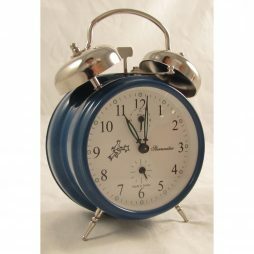 This solid metal alarm clock is easy to read with large numbers and luminescent hands with 2 light settings – constant light or light on demand, an ascending four beep alarm and a snooze button. The sweep second hand allows for a quiet, non-ticking experience. 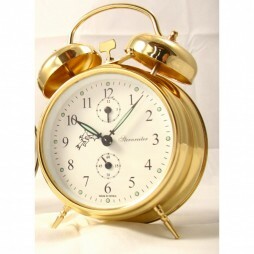 Start your morning with a smile and the lovely and loud sounds of this exotic Double Bell Mechanical Alarm Clock ? Blue by Sternreiter. 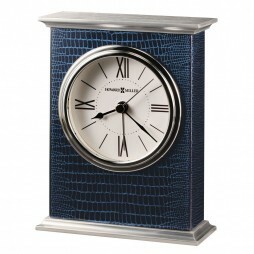 This mechanical clock adorns a cool blue color that gives it a mesmerising look. Made in Serbia, this clock has a brass mechanism that features solid brass plates, brass gears, and steel shafts and pivots. The dial of this clock is another beautiful aspect of this clock with offset seconds and alarm dials and easy-to-read Arabic numerals and glow in the dark hour markers and hands. 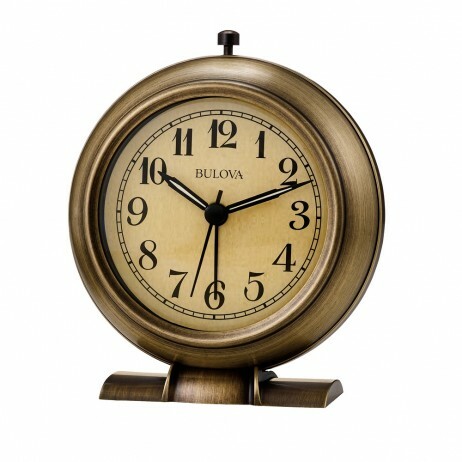 This elegant clock is an all-metal clock and consists of a high-quality mechanism. 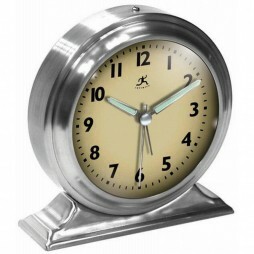 This Boutique Brushed Nickel Alarm Clock Cream Face will fill your home with elegance. 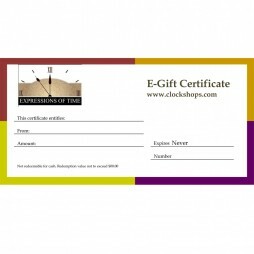 The timepiece clocks features a large easy to read cream dial. Arabic numbers at every hour and glow in the dark metal hands. Quartz, battery operated movement.